If you're a power Facebook user with a PayPal Account , this post is for you. 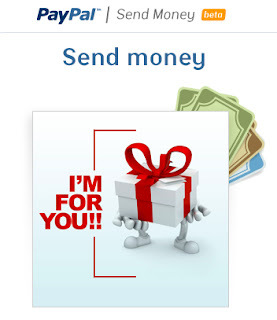 PayPal has introduced a new app that allows you to send money to your friends and family on FB. The Send Money App is definitely a game changer from users perspective and also promises to benefit both companies in the long run. Facebook is mostly popular for its unique ways to attract users, which many social networking sites fail to do. This app not only helps in sending money, but also e-cards, photos, videos and messages. So how could that be a game changer? Well, a recent estimate from the Greeting Card Association shows that over 500 million e-cards are sent by Americans annually, that's just one country. Just imagine how many are sent across the world. Since Facebook has nearly 1 billion users, no doubt it will make profits (not to mention PayPal). So why would people choose other ways of doing this while you can do the same thing from one place? Celebrating occasions is easier with the Send Money app.